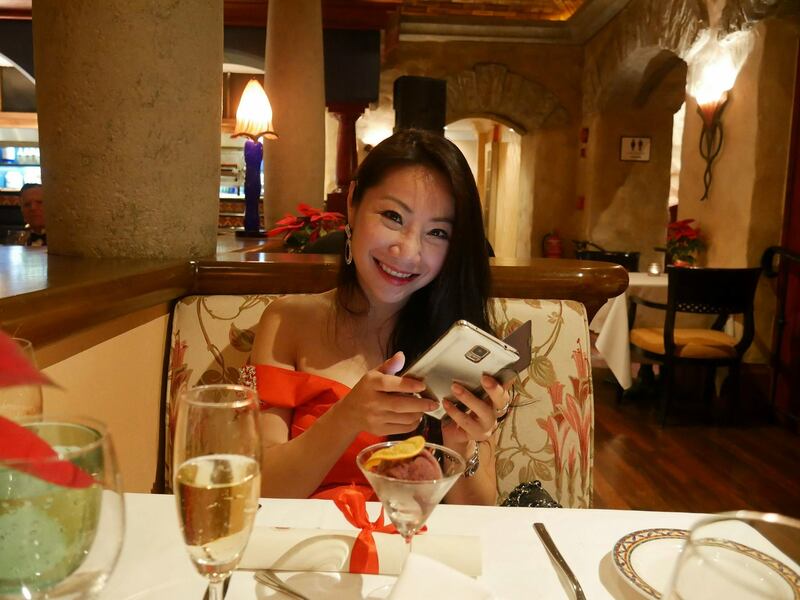 Evian and I were very honoured to be one of just two media to be invited to join the Chaine Des Rotisseurs “An Italian Christmas Affair” dinner at Villa Danieli in Sheraton Imperial Kuala Lumpur on 10 December 2016. The dinner was a black tie affair and was a collaboration between the association and Villa Danieli which saw members of the association and a few guests partake of the specially designed menu of the night. The Confrérie de la Chaîne des Rôtisseurs is a French association composed of all individuals and legal entities of various nationalities (French and foreign ones), amateurs of good food and professionals with the objective of promoting gastronomy and the culinary art in their broadest sense, whether it involves food or drinks, in all countries. This is achieved by encouraging in particular the development of the culinary arts, especially grilling and spit-roast cooking techniques. The origins of the Chaîne des Rôtisseurs stem back to the Middle Ages when the first Guilds were formed in Europe. It was these Guilds which were largely responsible for the birth of the arts including classical music, literature, painting and the theatre. Among them was culinary art which was promoted by the Guild of Spit-Roasters, Les Ayeurs, which was constituted in 1248 by St Louis, King of France. Royal Patronage was bestowed in 1610 with the official coat of arms of the arms of the Maitrise des Rôtisseurs. The Guild continued to develop until 1789 but, together with all the Guilds, it was dissolved after the French Revolution. Although culinary art continued to flourish, it was not until 1950 that three gastronomes – Cumonsky, Prince elect of Gastronomes; Dr Auguste Becart; and Jean Valby – teamed up with two professionals, Louis Giraudin and Marcel Darin, and pledged to restore the spirit of the Guild. In 1950 they founded the Confrérie de la Chaîne des Rôtisseurs which is now established in 86 countries and has a 21,000 membership. The Malaysian chapter also known as the Bailliages de Malaisie was conceived in June 1977 by Mr.Ted Wright, Mr. ArchimIhlenfeld and Mr. Karl Waeiti. However, it was not until November 1978, when the Confrerie de la Chaine des Rotisseurs made it official, and the Bailliages de Malaisie was formally registered with the Registrar of Societies. The membership at the time was 22 with 11 professional members and 11 non-professional members. 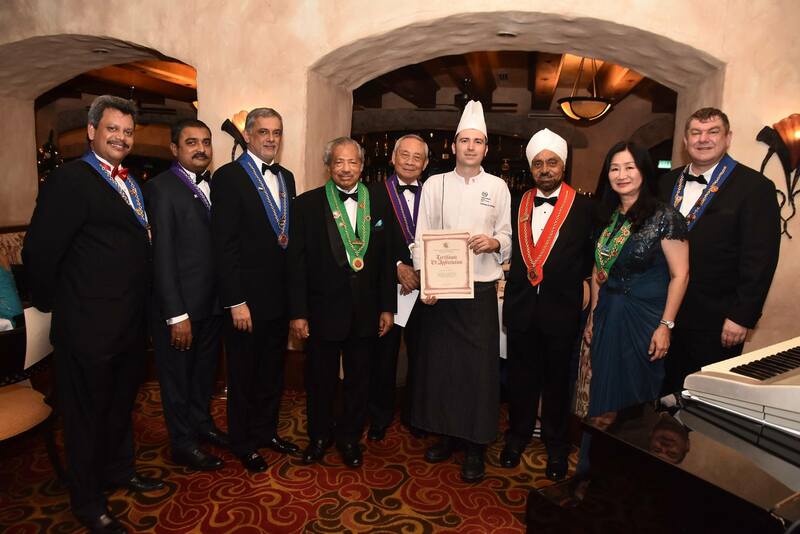 The first Diner Amical was held at the Hilton Hotel, during which BailliDelegue, officers and members of Chaine des Rotisseurs Malaysia were installed. Today Bailliages de Malaisie consists of Bailliage de Kuala Lumpur, Bailliage de Penang, Bailliage de Johore Bahru, Bailliage de Melaka, Bailliage de Kuching, Bailliage de Sabah, Bailliage de Perak and Bailliage de Putra Jaya with 250 members. Part of the Bailliage is also the Ordre Mondial des Gourmets Dégustateurs, for those who have a special knowledge of or interest in wine and spirits. 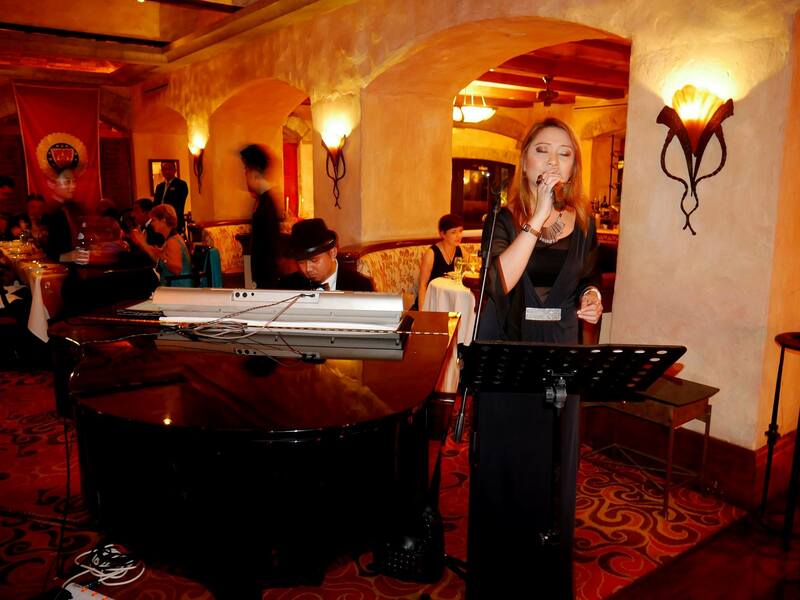 Members of this group organize special wine-related events, including trips to wine-producing regions around the world. Here’s a look at the Chaîne des Rôtisseurs Menu. Thinly sliced fresh lobster from Boston served with fresh local fruits such as mango and papaya. Carpaccio is a classic Italian dish, but in this recipe, a fusion was created to combine the Malaysian flavours of lemon grass in this dish. 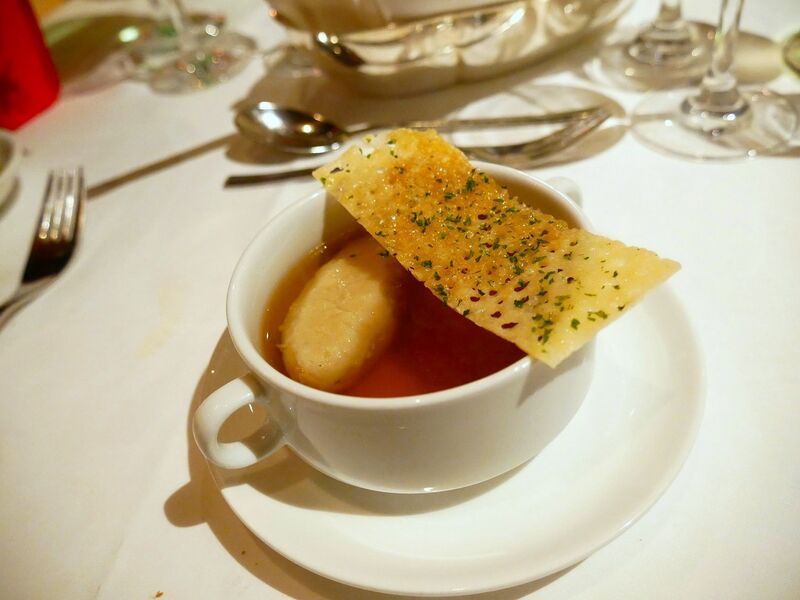 The duck consommé soup was boiled and simmered for three (3) hours, then served with Gnocchi and Parmesan Crisp. The intense flavour of the duck consomme was rich and creamy yet not overly cloying. 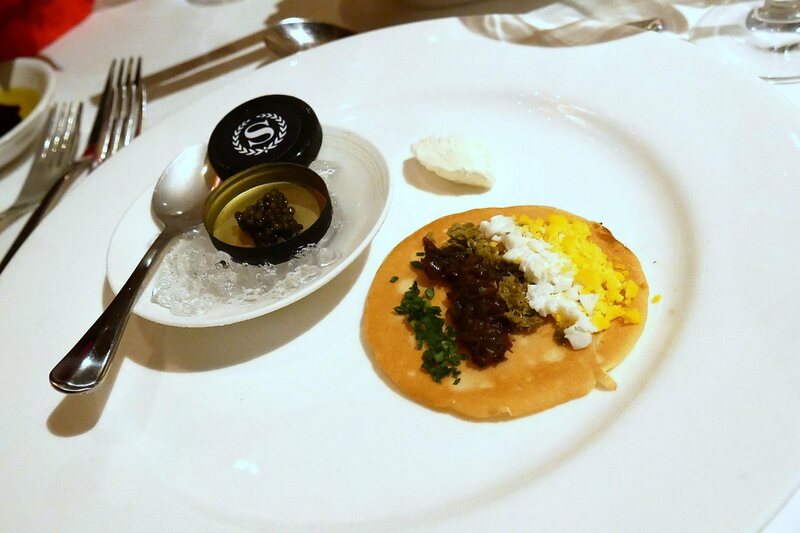 Oyster risotto flavoured with the sweetness of licorice, topped with monk fish tortellini. 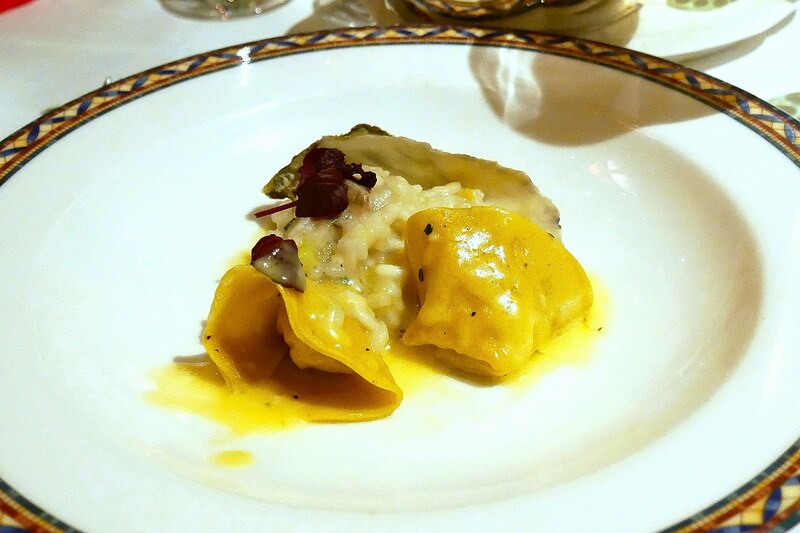 The combination of risotto cream and tortellini brings out the flavours of the Mediterranean sea. 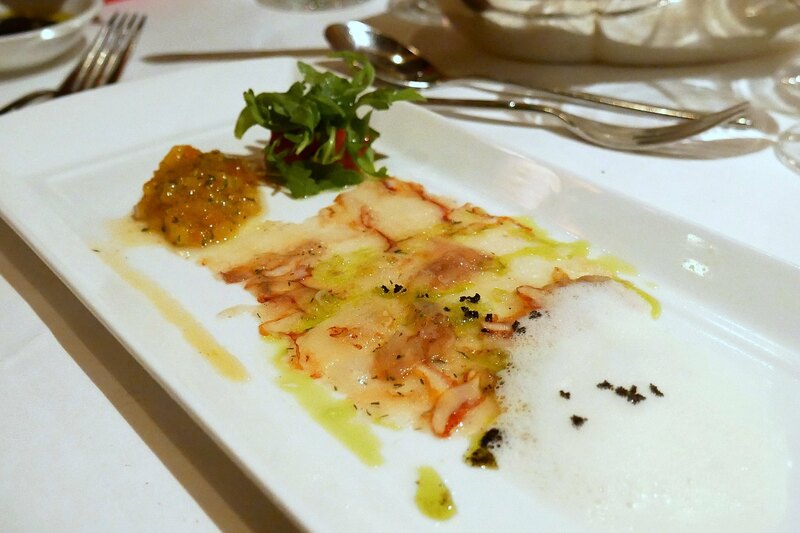 This is the signature dish of Chef Gaetano, bringing his home taste of Sicilian in this dish. 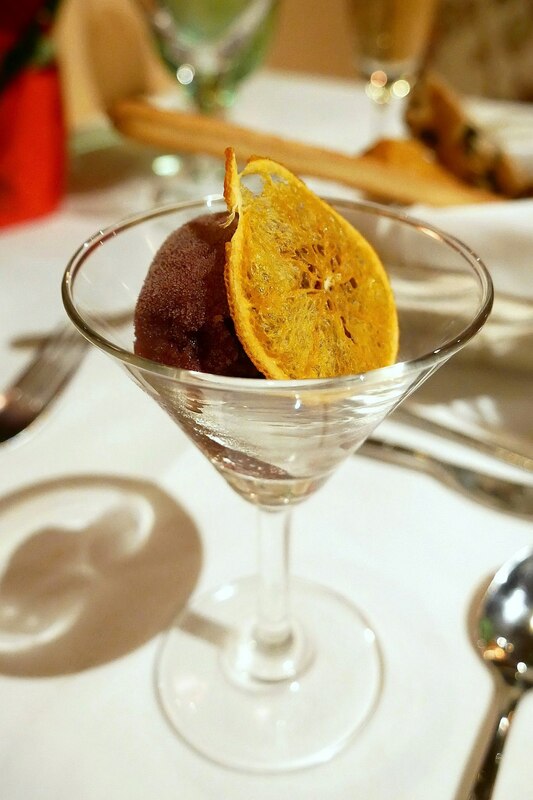 The traditional Glühwein or mulled wine served cold as sorbet. It is a traditional drink during winter especially around Christmas. 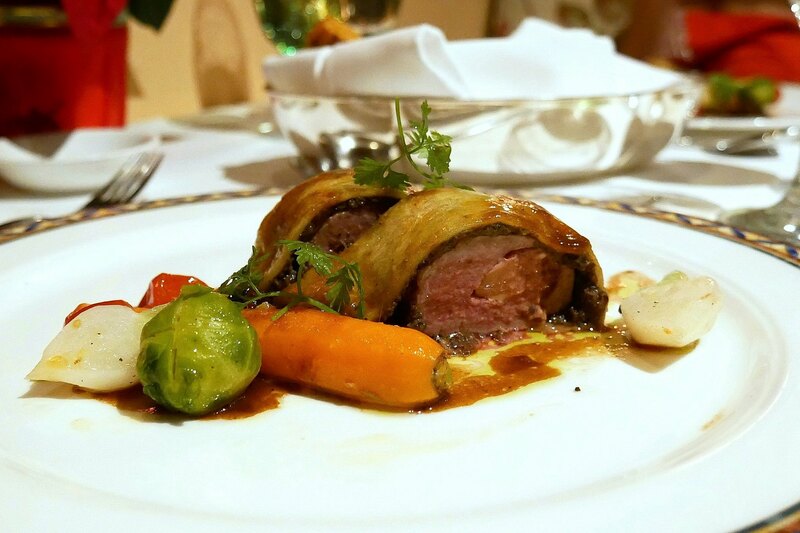 The second main course is a festive favourite, lamb loin filled with foie gras, baked in puff pastry. 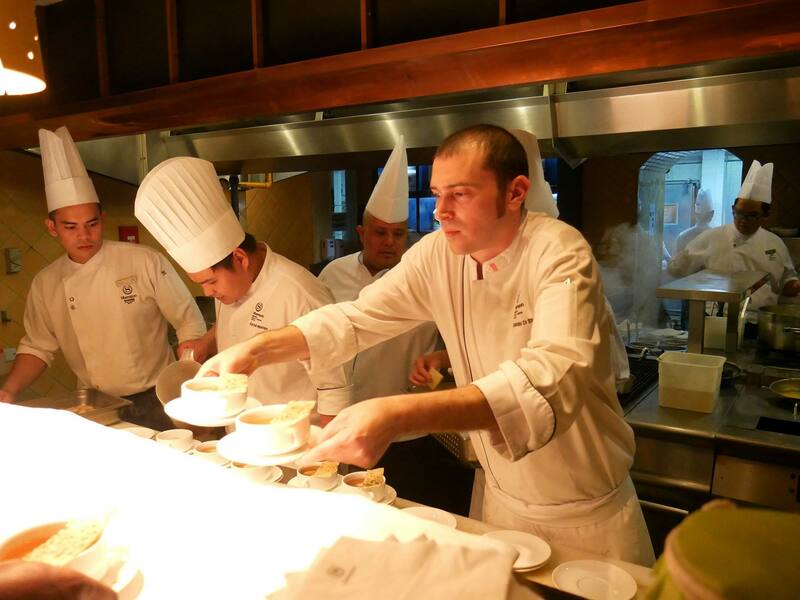 Lamb loin is a common ingredient used in every household dish in Europe, this time round, Chef Gaetano prepared the household dish in a luxury manner, using ingredients like foie gras to boost the flavour. Tiramisu is a classic ‘must have’ dish in Italy. 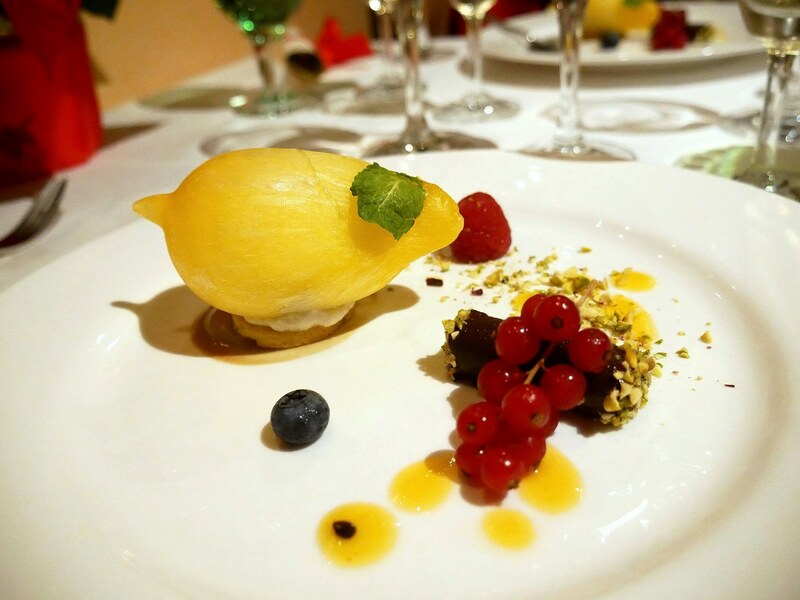 In this sweet dessert, tiramisu is presented specially inside a sugar sphere made with lemon sugar. The French traditional dessert of baked green apple and mixed nuts, served with warm tallegio and sabayon. 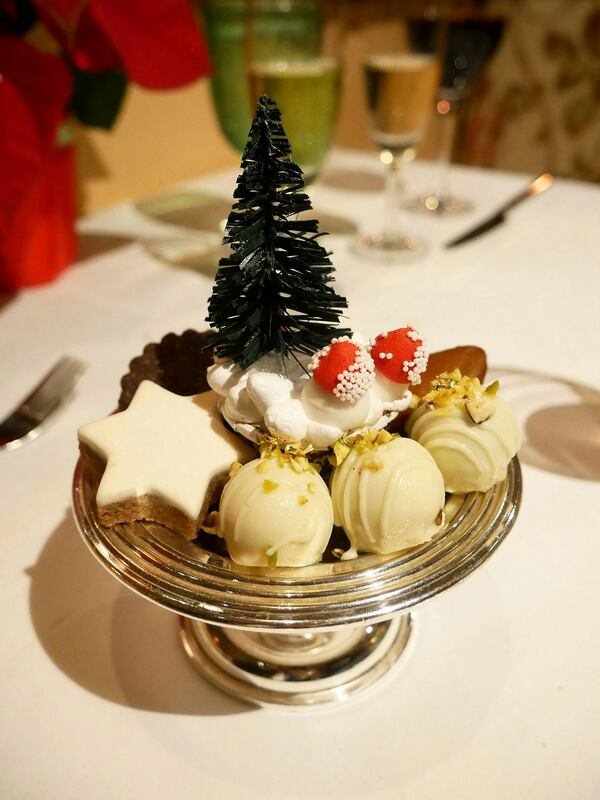 To end the meal on a sweet note, Chef prepared homemade pralines with pistachio.